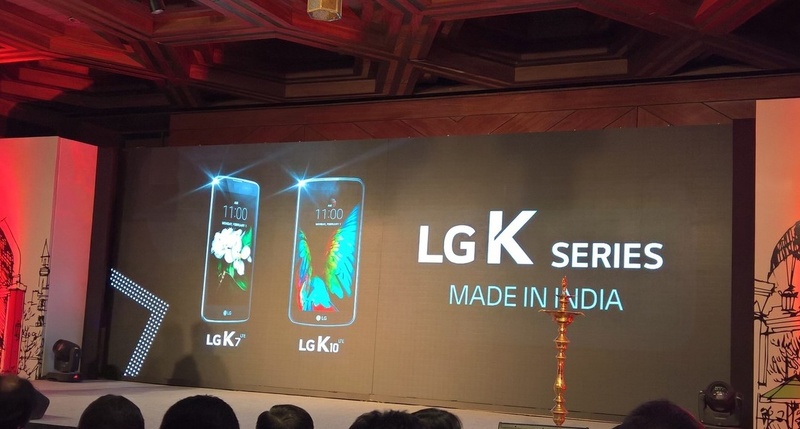 On Thursday, LG Electronics India announced the launch of its K7 and K10, the first smartphones the company will be making in India. The move reiterates the company’s long term commitment to India and its customers in the country. LG K7 LTE is priced at Rs 9,500, while the bigger LG K10 LTE costs Rs 13,500. The LG K10 features a 5.3-inch HD in-cell display, 2.5D Arc Glass design on the back, Qualcomm Snapdragon 410 quad-core processor, 2GB RAM, 16GB storage space. LG K10 sports a 13 megapixel rear camera and a five megapixel front camera. It has a 2300 mAh battery and runs Android 5.1 Lollipop. LG K7 comes with a smaller 5-inch in-cell display, Qualcomm Snapdragon processor, 1.5GB RAM and 8GB storage space. The rear and front camera are both five megapixels and it has a 2,125 mAh battery. LG K7 also runs the Android 5.1 Lollipop OS and has the same 2.5D Curved Arc Glass design on the back. Both phones are dual-SIM with 4G, VoLTE support.